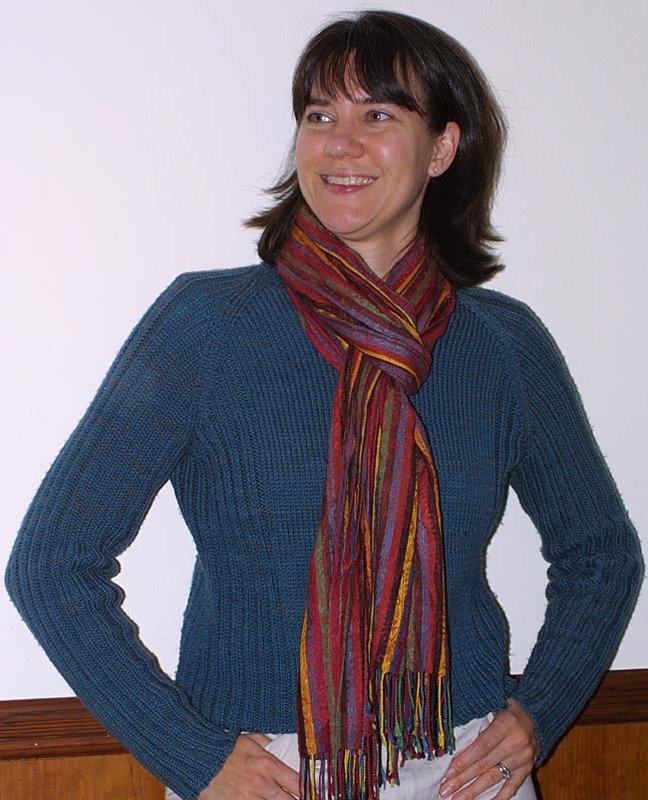 Sittin 'n Knittin: Rhinebeck, here I come! My teal ribby cardi and my scarf. 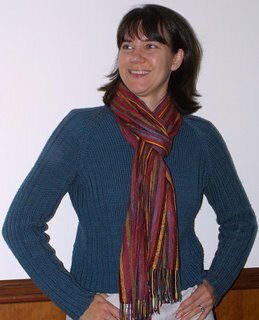 If the weather becomes too warm for a sweater, I will keep the scarf visible in some manner, as it is quite distinctive. See you at Rhinebeck! Thanks for the photo. I am stopping by to say hello to everyone on my Bingo Card (there are a lot of people). Hopefully, I will see you there! thanks for making it easier to spot you :) (you're on my card) happy travels! Well I already saw you at Rhinebeck and it was nice to meet you. I am feeling much better thanks. We almost closed the place down but we wre pooped by the end of the day. I'm already counting the days til next year. Lovely to have met you on Saturday. I hope your friend heals well. The sweater looked great and it was so nice to meet you (again!). Best wishes on your friend's recovery too.